Oh my word. 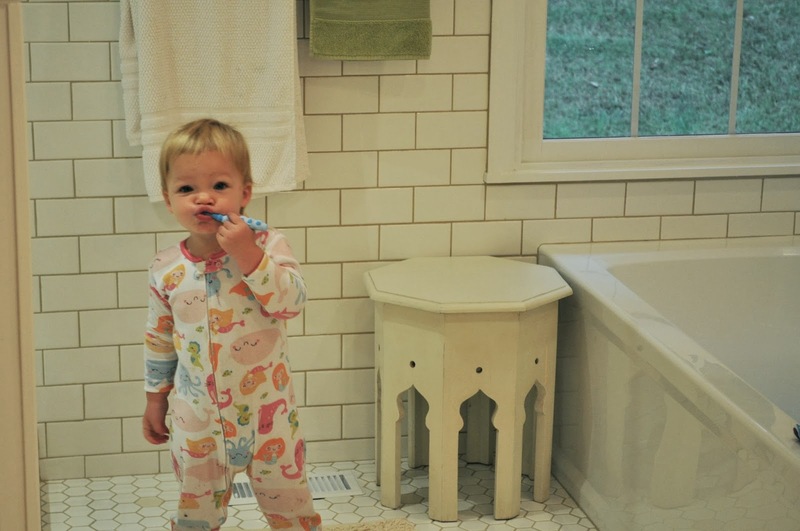 That bathroom looks gorgeous! DH is a doll. I need to cut SS' hair. EEk. You look fabulous! 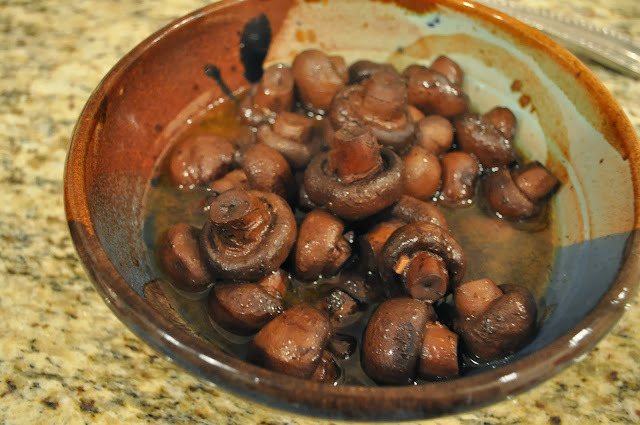 I want to make those mushrooms. HI, I found you through the 5 on Friday party! The mushrooms look delicious and I stole your recipe for cheese grits! I wouldn't think to pair that with pork tenderloin but I'm totally making that for dinner. Thanks for the menu! 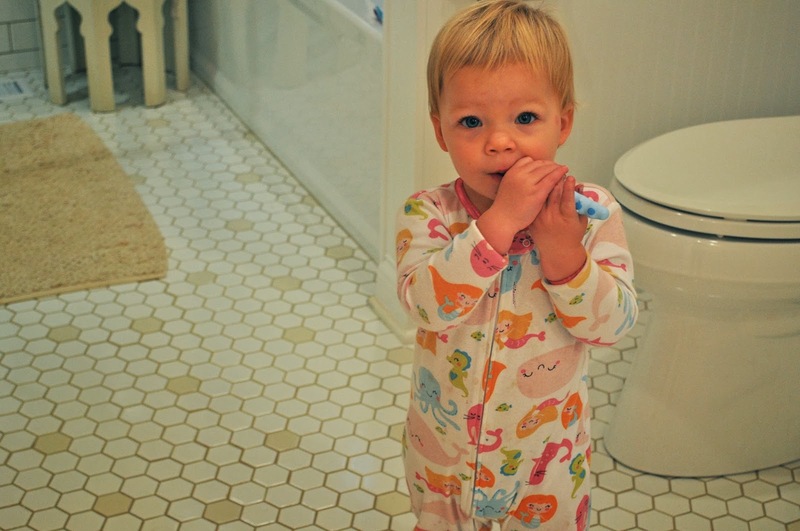 omg the onesie pictures with the toothbrush... my ovaries are a-twinklin. have a GREAT weekend! Also, so jealous you will get to try JCrew's maternity line!! I bet you will look adorable as always. I knew it!! 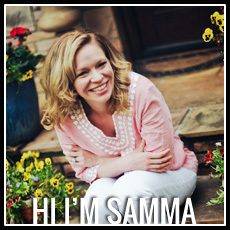 Congrats Samma! Such exciting news! You are the cutest preggo ever! How cute are you? So tiny! And little one is just too cute for words! Love her brushing those teeth! I can't wait to see more of the bathroom because what I can see I just love! Wow you're 21 weeks already! That's so exciting! All these ladies (in blog land and my real life) are having their babies so close together. More power to ya mama. I think I'm good to wait a little longer. My bubs will be 2 in November and I don't have the bebe fevah! just yet ha! Congratulations! It's great news and you are such an adorable pregnant lady. Faye, I have the J Crew maternity Minnie pants in burgundy and the Pixie pants in black. Loving both of them!!! Super useful for work and such. Fingers crossed they come out with tops, etc. later this Winter! Um, you're 21 weeks while I am 16 weeks -- and I'm already competing with my local zoo elephants for who's bigger. My only defense/excuse is that this is my third and you just pop out so much faster. At least that's what I tell myself.